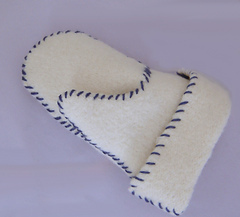 If you are new to felting, this is an easy project to try out your felting technique. 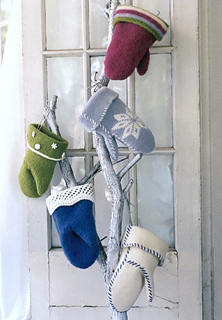 Worsted wool yarn is knit in stocking (stockinette) stitch. 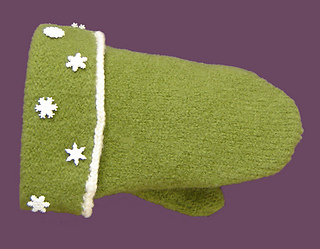 The knitted piece is then felted to create a “fabric” from which to cut the mitts pattern. 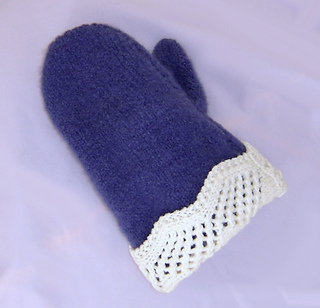 The mitts can be made in one color, finished with a contrast-color whipstitch, or fashioned with a striped or lace cuff. 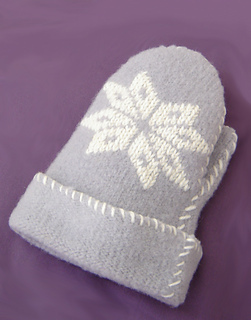 Add snowflakes to your mitts by decorating the cuff with snowflake charms or an intarsia snowflake motif. 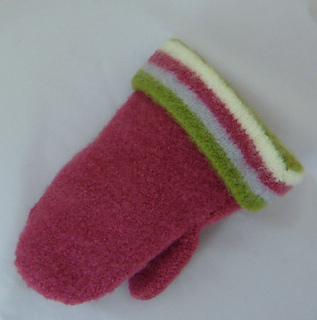 The knitting pattern, written in both US and metric measurements, includes complete felting instructions, assembly diagram, and pattern graphs.